Niépce's first experiments were based on the use of silver salts. He then tried a succession of different chemicals, hoping to find a substance that would produce a picture that would give him a sharp, bright and stable image. Each of the substances he would use had to be light-sensitive. Niépce discovered that bitumen of Judea, a material used by etchers, was a light-sensitive material that would bleach when exposed to light. Perhaps it was in the mid-1820s that Niépce coated a plate of pewter or glass with this material dissolved in oil of lavender, placed it his camera obscura, and was able to make an exposure that lasted the entire day. Using this technique he made pictures on pewter and glass, and then developed another technique that could be used to reproduce traditional prints. 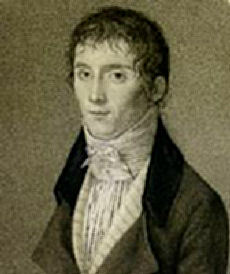 In 1825 he received a letter from Louis Daguerre, whom he did not know. Daguerre suggested they both share their efforts with regard to photographic research. 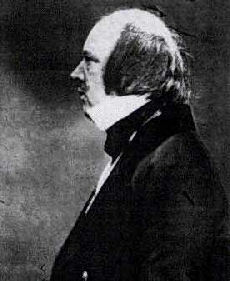 At first, Niépce thought he could achieve his goals without Daguerre, but was eventually convinced to "combine forces." Louis-Jacques-Mandé Daguerre was the only professional artist of the three "fathers" of photography mentioned here, though he was, before this time, known mostly for this work in theatrical design. Daguerre was an assistant to a man named Prévost who owned the French patent to the Diorama (a precursor to the IMAX theatre), where one could, by the use of changes in lighting shone on a series of large, transparent, painted screens, create a spectacle that could, for example, narrate a battle scene on a grand scale, a spectacle of both sight and sound. With the money he made from this venture, he decided to devote his time to photography and improve on Niépce's work. The technique that Niépce employed to create a picture could take up to ten hours to complete and was not the best quality. His technique was also not very practical for use in a camera, so it was necessary for Daguerre to find a substance that would be much more sensitive to light. Daguerre spent fifteen years experimenting on his own, working on a process in which a silver plate (that acted as the "film") would be exposed to an iodine vapor. After an exposure of just a few minutes, the image would then become "fixed" with a chemical known as sodium hyposulfite. 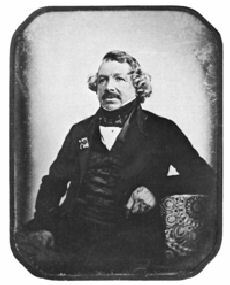 The invention of this silver-based emulsion, as well as the discovery of sodium hyposulfite as a fixative agent, can thus be attributed to Louis Daguerre. He announced this procedure to the world in 1839, and subsequently became well-known as the inventor of photography; the daguerreotype was born. William Henry Fox Talbot was an Englishman who had also been working on his own photographic processes, and he was quite displeased when he heard of Daguerre's invention. He had also invented his own method of photography but had put it aside to attend to other, more important matters. Little did he realize that someone else could also be inventing photography at the same time. On hearing of Daguerre's success, he reinitiated his own research in haste to try to perfect his own methods, hoping that he could at least make his own contribution in some way to the field of photography and claim certain rights of priority. Talbot's original contributions included the concept of a negative from which many positive prints can be made. He became known as the inventor of the negative/positive photographic process, the precursor to most photographic processes of the nineteenth and twentieth centuries. He was also known to use gallic acid and silver nitrate to help develop the latent image. In 1841 Talbot applied for a patent for his calotype.